And here it is! The massive SystemHouse33 European Tour 2019 Tour Dates that you have been waiting for! 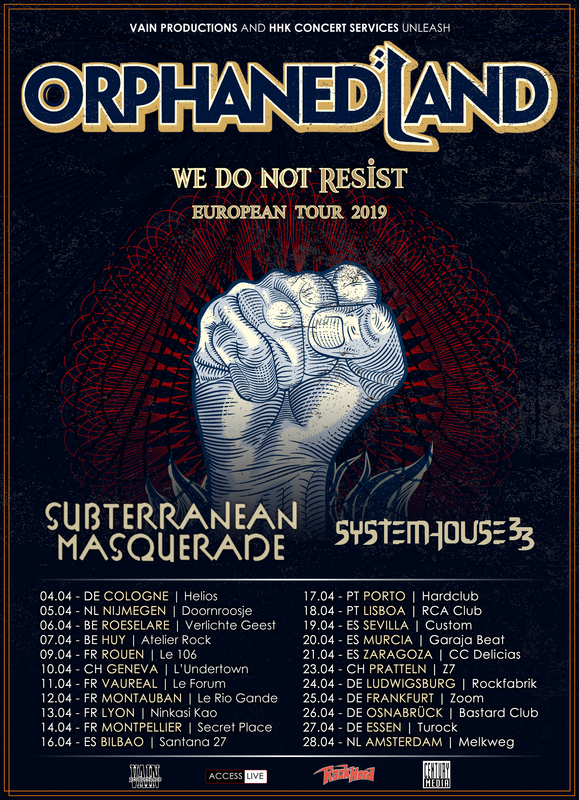 \m/ The We Do Not Resist Tour with Orphaned Land and alongside Subterranean Masquerade will see the Indian metallers performing 22 shows across 7 European countries. This tour marks SystemHouse33’s second time as a support act on a tour in Europe, the previous one being in 2015 where they supported America death metal giants Six Feet Under on their annual Xmas in Hell Tour.